You have normal floor mats, and you have the WeatherTech Digital Fit Floor Liners. Comparing those two is like comparing a typewriter with the computer. Made from a patented High-Density Tri-Extruded (HDTE) material that provides a rigid, solid core for flexibility and durability, while still offering surface friction to the carpet so it won’t constantly move around! The hi-tech material also provides a tactile and luxurious feel to the surface. The WeatherTech Digital Fit Floor Liner is designed with advanced surfacing channels that redirects dirt and fluid spills to a specially designed lower reservoir. This prevents the dirt and fluid spill from moving to other parts of the floor when driving. Laser-measured to provide a perfect OEM fit to any car, truck or SUV. Protects the front, back and sides of your vehicle floor for outstanding protection. Undeniably the best-looking floor liners in the market today. Perfect for small sedans, luxury cars and even high-end sports cars! An advanced surface technology that channels dirt and spills away from your shoes and feet. Comes with a 3-year warranty. The WeatherTech Digital Fit Floor Liners are the most advanced automotive floor protection in the world. Sam’s Motorsports allows you to experience this technology for a wide array of cars, trucks and SUVs. Part Notes: Not designed or recommended for models equipped with vinyl flooring. Weathertech reinvented the automotive floor mats technology with their passion for quality. Founded by David MacNeil, Weathertech has been successful in exceeding customer expectations over the years. Though they are the World’s Number 1 in designing and manufacturing the best floor mats in the industry, Weathertech never stops qualifying for this job. The brand’s passion for quality is always evident with each floor mat marked with the Weathertech brand. Weathertech front mats, rear mats, and cargo liners are incomparable with other brands, in design, functionality, and reliability. Each floor mat or cargo liner undergoes intensive research and development to be the best in the market. Weathertech utilize only the most sophisticated tools to craft the finest automotive accessories, from Concept to Consumer. The company’s latest CAD/CAM systems ensure a 100% digitally perfect fit and innovative design across all Weathertech product line. Your average floor mats can’t deliver utmost protection and stylish appeal, but Weathertech Floormats are meant exactly for that job. The most protective and stylistic floor mats in the market are designed by Weathertech. The brand’s commitment to quality is made official with their recent certification to the ISO/TS 16949 Quality Standard organized by the International Task Force (IATF) and ISO’s technical committee. 2009-2011 Honda Fit WeatherTech DigitalFit Floor Liners, The WeatherTech DigitalFit Floor Liners is designed specifically to fit your 2009-2011 Honda Fit without any modification to your beloved Honda Fit. 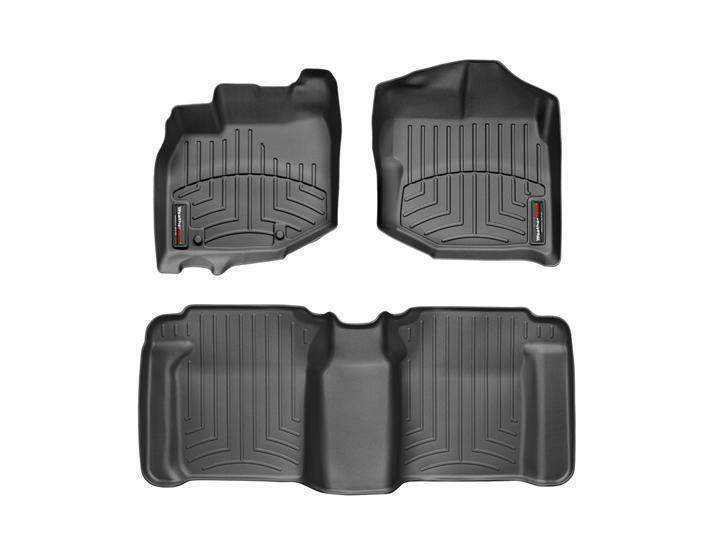 If this WeatherTech DigitalFit Floor Liners is not exactly what you are looking for to accessories your 2009-2011 Honda Fit, please don't give up just yet. Our catalog has huge variety of parts and accessories for your Honda Fit.